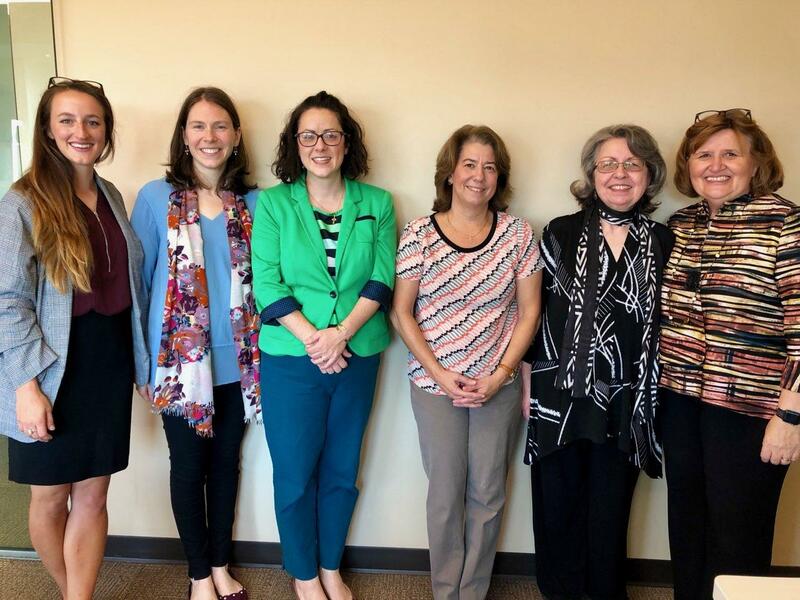 The Sisters of Charity Foundation of Cleveland welcomed its new program staff for Supporting Catholic Sisters and their Ministries in an event with grantees, partners and sisters on October 1. Erin McIntyre, outgoing program officer and seven-year employee of SOCF, joined Margaret Eigsti, senior program officer, and Courtney Zuendel, program coordinator, Generative Spirit, to celebrate the work of the foundation and look to the future. 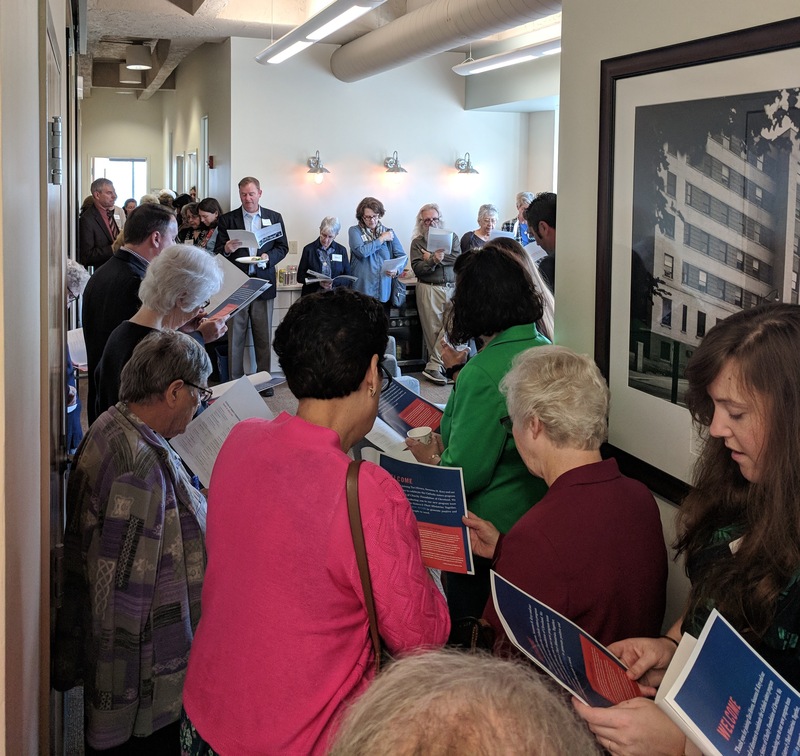 SOCF president Susanna Krey offered a reflection on McIntyre’s dedication and passion to her work with Catholic sisters, and highlighted the work that Eigsti and Zuendel face in the Generative Spirit initiative. 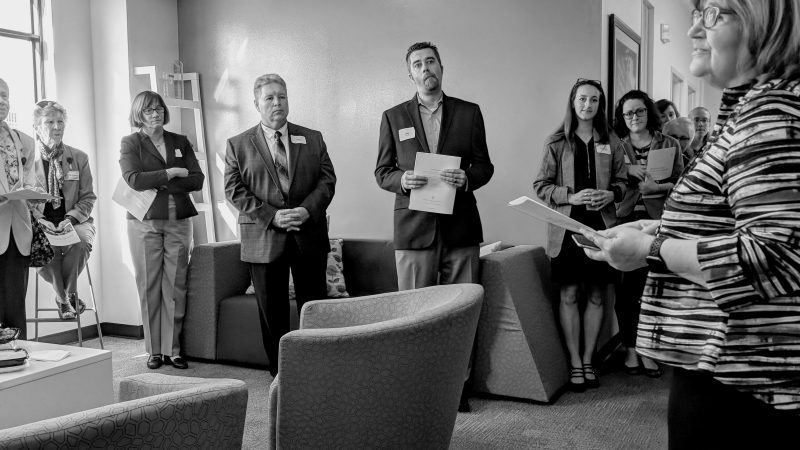 Funded by a grant from the Conrad N. Hilton Foundation, Generative Spirit is focused on developing the next generation of lay leaders for sister-led, sister-founded ministries. Eigsti has been with SOCF since 2016 and has provided extensive support in this program area, including work on special projects and the Saint Ann Legacy Grant program. Her most recent work has been with The Innovation Mission fellowship, an initiative to foster innovation in Clevelanders to break the cycle of poverty. Zuendel previously spent two years as executive assistant and project coordinator within the Sisters of Charity Health System. Prior to her roles here, Courtney was an admissions representative at Miami-Jacobs Career College. In attendance at the gathering were three of those predecessors. In addition to McIntyre, former program officers Lynn Berner and Kathy Csank visited to wish the team well. In her years as leader of the program area, McIntyre oversaw the progress of SOCF’s Collaboration for Ministry Initiative (CMI), which for 16 years has and continues to cultivate the sharing of ideas, support for each other and collaboration of ministry initiatives among the sisters of Northeast Ohio’s 15 orders of women religious. She also worked with the Northeast Ohio Conference of Religious Leadership (CORL) and Coalition of Young Adults (CYA) to develop Generative Spirit, and was instrumental in obtaining the $750,000 grant from the Hilton Foundation to implement the initiative. Eigsti said she’s looking forward to the unique experience of working with Catholic sisters. A former program officer at Incarnate Word Foundation in St. Louis, Eigsti recognizes the value of the sisters’ model. “I look forward to contributing to this work in a new way — by supporting and sustaining the unique Catholic sister model for service and ministry, one that demonstrates the importance of entering into this challenging work with the head and heart,” she said. More information about Supporting Catholic Sisters and their ministries can be found here.